Soap & Glory A Great Kisser Lip Balm in “Vanilla Bean” – amandarobots. I’m a bit of a sucker for a nice tinted lip balm. 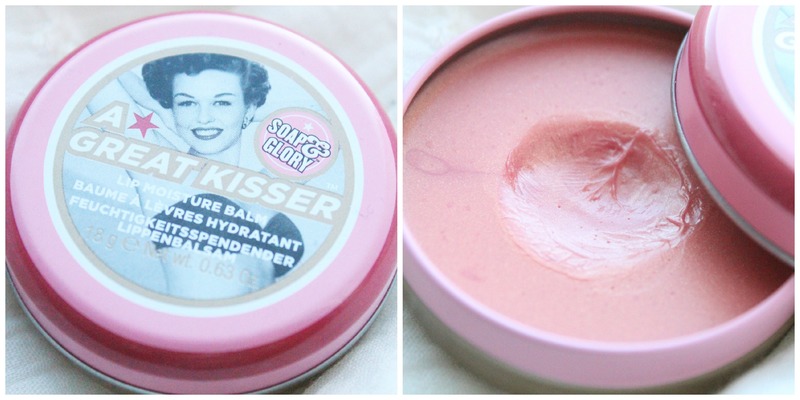 Soap & Glory cosmetics rarely disappoint, so when I saw this I snapped it up. That and I kind of love vanilla. The good is that it smells amazing and is actually quite moisturizing. It’s shiny without being obnoxious, and the colour it gives is a very sheer wash of beigey-pink colour. Plus, it was under $10 for sure. The bad is that it’s as sticky as a MAC lip glass. And I mean it is fly-trap sticky; the slightest breeze gets pretty much my whole head of hair glued to my lips. As a result of the stickiness, I tend to not wear it as much as I’d like to. If the texture were just a bit slicker, this would be my ideal tinted lip balm. Unfortunately, I can’t abide tackiness, in texture or style.